Lift I/O is purpose built expansion module designed for elevator floor access control. 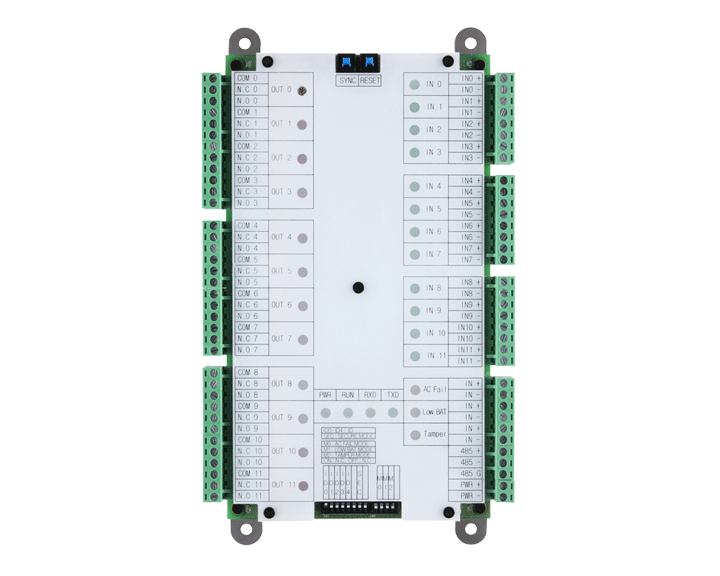 Combined with a Suprema device and BioStar software, a single module can securely control up to 12 floors via encrypted connection. Lift I/O can be linked in daisy chain configuration up to 10 devices for control of 120 floors.